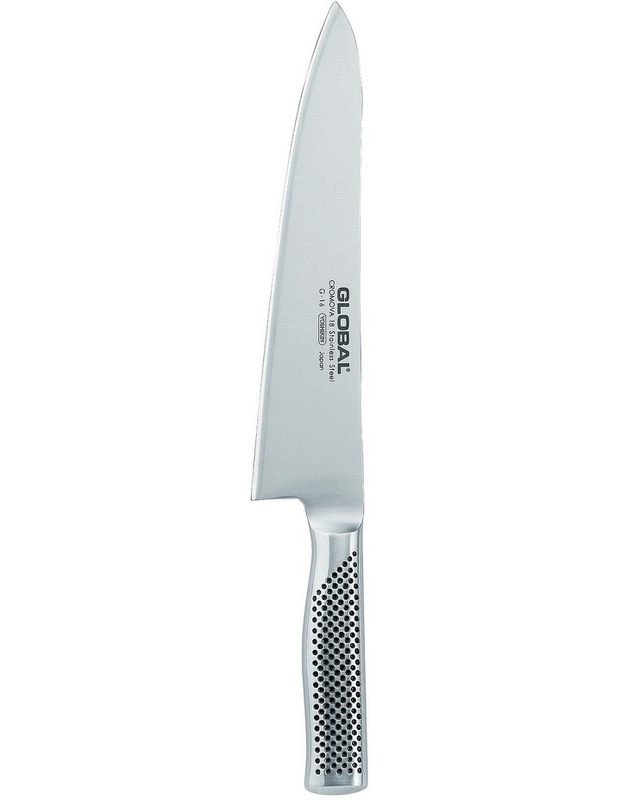 The 24cm Global Cooks Knife, or GS-3, is a beautiful addition to any knife range. This perfectly weighted knife slices through meat and vegetables with ease and precision. Like all Global knives, this one features unrelenting quality and durability. Its blade boasts double-tempered Cromova 18 stainless steel, which maintains longlasting edge sharpness. The knife stays firmly in your grasp, thanks to the dimpled patterning that adorns its hollow, stainless steel handle. A seamless design makes this knife exceptionally hygienic as well. Start chopping, slicing and dicing like a professional by ordering this cook's knife today!